The immediate past Director of the Directorate of Research Innovation and Consultancy, Prof. Samuel Kobina Annim, who is currently on sabbatical leave from the University of Cape Coast, has been appointed as the new Government Statistician. Samuel Annim is an Associate Professor of Economics with specific concentration on Micro Development Economics and Applied Micro econometrics at the Department of Economics, University of Cape Coast, Ghana. He earned Bachelor of Arts, Master of Philosophy and Doctor of Philosophy degrees in Economics at the University of Cape Coast (Ghana), University of Ghana (Ghana) and University of Manchester (United Kingdom), respectively. Following the completion of his doctoral studies, Samuel was engaged at the University of Manchester and University of Lancashire, both in the United Kingdom, in the respective capacities of Research Associate and Post-doctoral Research Fellow. 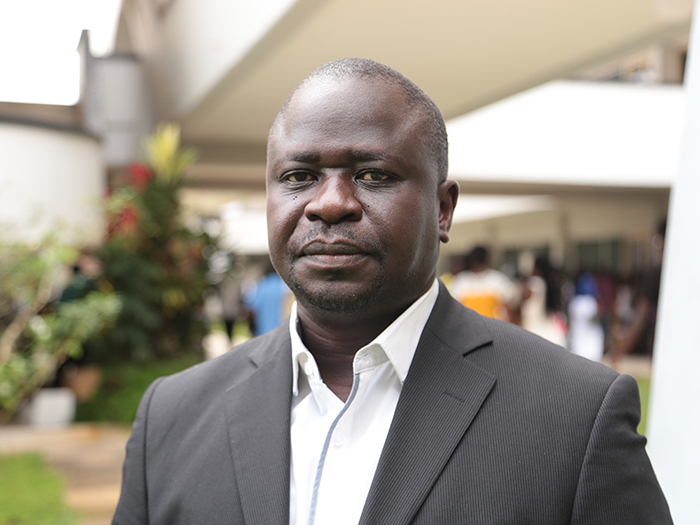 Prof. Annim has approximately 20 years teaching experience in Universities both in Ghana and abroad, and has more than 40 peer-reviewed journal articles, book chapters and technical reports to his credit. His publications are available in academic outlets such as World Development, Journal of Development Studies, Journal of International Development and the Oxford University Press. While at the University of Cape Coast, he contributed to a number of interventions including; institutionalization of microfinance programmes and a conference, establishment of a Data Repository Centre; upgrading the status of the Department of Economics to a School and the development of a host of policies that promotes scholarship and research administration. Samuel passionately supports national and global development agenda by providing professional service to the National Development Planning Commission, the National Statistical System in Ghana and several international bodies.